Value Edge Solutions (VES) specializes in providing INNOVATIVE, INVIGORATING and SUSTAINABLE offshoring software services & mobility solutions which not only provides valuable...Read moreValue Edge Solutions (VES) specializes in providing INNOVATIVE, INVIGORATING and SUSTAINABLE offshoring software services & mobility solutions which not only provides valuable edge in your business, but enables our customers to forge way ahead of competition by ideating, defining and implementing key business solutions well in time. This enables customers to achieve ROI as per the defined business plan. We all know that technologies are changing at a fast pace and thus are throwing ever increasing challenges to IT teams worldwide. We at VES have been keeping pace with this fast paced evolution. This ability of ours not only lets us stay ahead of our competition but also enables us to provide to our customers the right technology solution. We also take the liberty of calling ourselves niche technology solutions provider. We provide our technology services in areas like – Mobile Application Development, Web Application Development, Third Party interfacing, Database development and optimization, Application Migration, Application Optimization and Refactoring, Website design and CMS, Customer Relationship Management (CRM) and Support services. 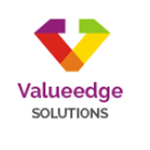 We at Value Edge Solutions (VES) consider people are our key resources and attribute its success to a wonderful bunch of people, who are not only excellent on the technical front in various technologies but also are fantastic professionals who understand the customer needs and expectations and strive to achieve SUCCESS. This attribute has earned our people great admiration from both our partners and customers, alike.